In an interview with Cliff Bleszinski during the Triangle Game Conference earlier this year, GN asked, "Using the least exaggerated amount possible, how much do developers normally pay for Unreal Engine licensing?" Cliff's answer was simple, "Like a bazillion dollars." I'm not sure if it was my disappointed look I shot him or the general groan of gamers in the room, but Epic Games recently announced the release of their Unreal Development Kit, the free edition of Unreal Engine 3 for all sprouting developers. The Unreal Engine is famous for its original series, Unreal Tournament, and the more recent one, Gears of War. Modders have had access to mapping tools for some time, but nothing near as powerful as UDK offers (at least, not without an indentured servitude program). Mark Rein, the vice president of Epic Games said, "I'm excited about the possibilities the Unreal Development Kit opens to those who are looking to get into the game business but don't otherwise have the means to acquire world-class technology and tools like ours. 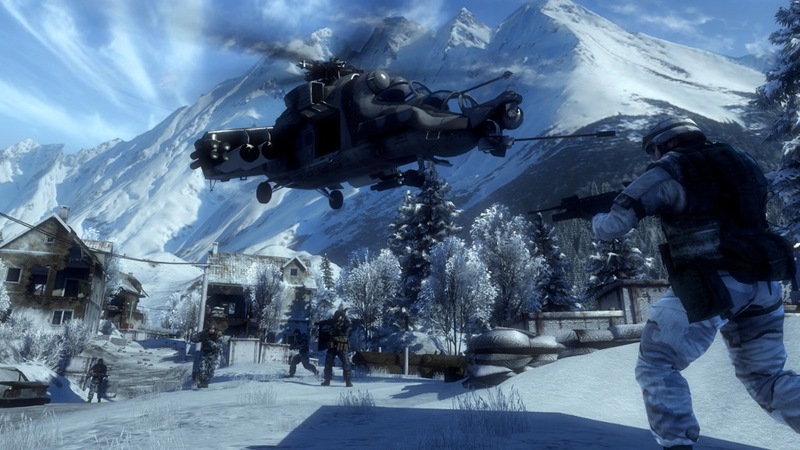 UDK is Unreal Engine 3, which has been used to create games in a wide range of genres, as well as military simulations, 3D architectural walkthroughs, animated movies and more. Users are only limited by their imaginations. Go ahead make something Unreal!" For the Glory A Europa Universalis Game, pre-order today and receive 250 extra Blue Coins with a price guarantee and pre-load. Get Europa Universalis II for 75% OFF." Get in on it while you can! Diablo 3 has been in a perpetual ’pending’ state, and for us die-hard hack-n-slash fans, the wait can get exhausting. Luckily, a band of veterans from the now-defunct Blizzard North represent our light at the end of the tunnel – Torchlight. Paradox Interactive has become known for its ability to cover obscure sub-genres of the ever-growing strategy scene. Whether it is a fantasy economy simulator like Majesty 2 or the Dutch East India Trading Company, they've been one of a few publishers willing to risk taking on a niche audience. Surprise, surprise, they've done it again with Elven Legacy: Ranger. Watching an angry Aussie incapable of using punctuation obliterate a box must be one hell of a sight. Fortunately, a few that witnessed it managed to survive with their lives... more or less. Yahtzee, famous for his gaming parody Zero Punctuation, received a package today from EA Games promoting Dante's Inferno. 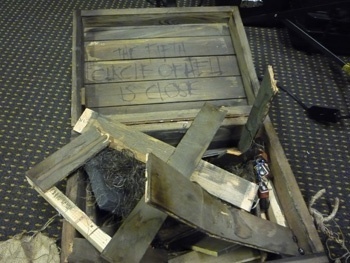 Yahtzee eagerly pulled open the wooden box, noticing that the inside of the lid read, "The Fifth Circle of Hell Is Close." The Escapist said, "Members of The Escapist staff crowded around the box, eager to find out what was inside. We were somewhat bemused to discover nothing but a small burlap bundle containing safety goggles and a ball peen hammer." Susan Arendt from The Escapist said, "We all got a good chuckle as we realized that EA had just managed to Rickroll Yahtzee through the mail, but our laughter quickly died out when we discovered that closing the box didn't shut off the song. Yahtzee looked at us, then at the box, then at the hammer in his hand. And then he got to work." "The sin of wrath is yours. You have succumbed to anger and opened an infernal spring that seethes with dark waters. Quelled not, your anger begot rage. The waters have risen unchecked and ye will be drowned in stinking mire. Can't wait to see the Dante review now. Posted earlier today on YouTube, a French player was recorded during a live session of Modern Warfare 2's beta release. The video quality is sub-par, but it does reveal one feature that we must question - third-person? View the vid for more. "Does your mouse break often? Then you need MAGIC MOUSE!" It's something the late Billy Mays would be preaching at 3:00 AM, in lieu of Mays, we went to the next closest experts: Mactards. It is well-known that Windows 7 was released October 22, and Apple tried their best to pull attention from the new Windows product by releasing their new Magic Mouse the same day. Without anyone to suade us otherwise, we delved into the quagmire that is YouTube's comment section, immediately to be engulfed in the end-all flameware. 1. Cancel your pre-orders immediately, do not buy Modern Warfare 2, do not recommend buying Modern Warfare 2. 2. Kotick likes publicity - good or bad. Cease all participation on the Infinity Ward Forums. Abandon them like they abandoned us. Do not even flame, just disappear. 3. Do not talk about Infinity Ward, Activision, or Modern Warfare 2 unless it is referencing this boycott. 5. Don't buy future Infinity Ward publications until we receive what we want: what we've always had. 6. Use one of our collected IW Boycott Signatures in all forum accounts (found on the IW forums, credit due where it is deserved). Activision and IW have to learn that if they do not address these problems now, they might not have a chance to in the future. A failed delivery has often been the death of development companies, while IW and Activision are large and strong, a well-placed blow to the chest might just knock the wind out of them enough to remember their audience. Even if MW2 sells well, displeased gamers will not purchase future games from the duo, making a stronger impact than we ever could with just this one title. Think forward, not just about MW2. Follow these rules and refer people back to them. We want games our way, IW and Activision should work hard for their money. Sorry FourZeroTwo, telling us that 'IWNet is good and you will like it' doesn't work, we're the customers. PC Gamer editor Tim Edwards has even voiced his opinion against the new decisions, and he speaks well for all of us. Dedicated servers are good and you will like it, because if you don't, DICE has got the whole thing figured out. Sadly, there will almost certainly be introduction of dedicated servers - at least not at launch. For now, the best we can do is decline their offer to "buy it, then tell them what we think." As Maikphisto from N4G put it, "I think ALL GAMERS should stick together on this one.....you never know when the next "EVIL" is going to hit your favorite platform....so for me anything related to IW or ACTIVISION is deleted from the wishlist"
Killing Floor will be clawing its way into your Steam account this weekend, like it or not! 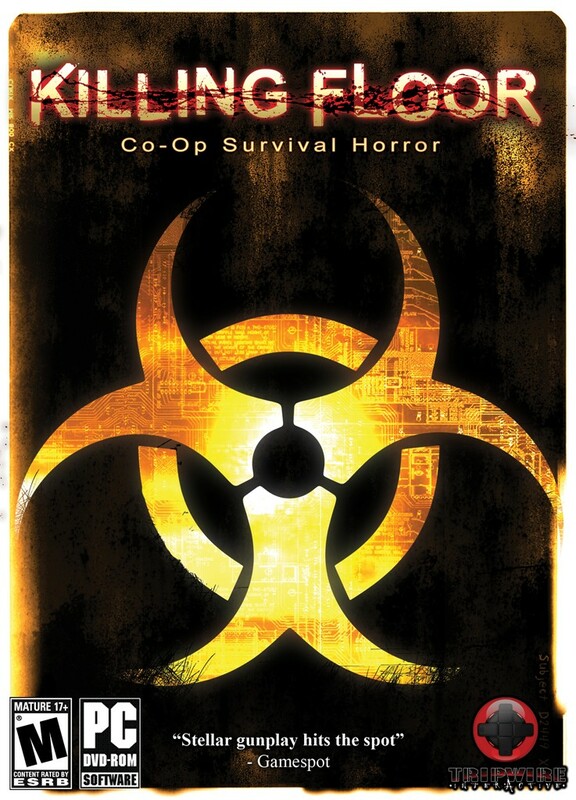 The 6-player co-operative zombie-killing horrorfest will be hosting a free weekend (22nd-25th) on Steam, meaning players new to the game will get a sneak peek before making their purchase. For those who decide they want to buy Killing Floor, the game will be on sale for 15% off this weekend as well, making for the perfect opportunity to get your hands on a new game. Veteran players of the game can look forward to new DLC and, of course, the option to invite friends to try the game out and drag them into it screaming. Take a look at Killing Floor's Steam page here. Infinity Ward Responds, "Won't Be Ignored"
All things Half Life 55.8% OFF! !